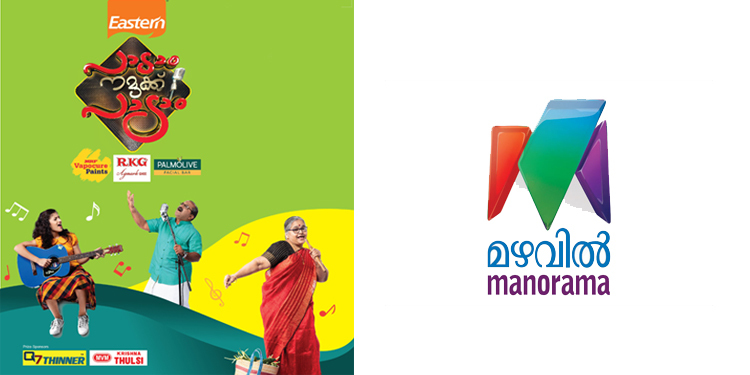 Cochin : Mazhavil Manorama’s new music reality show, Paadam Namukku Paadam, is the first of its kind to feature singing talents across all age groups. The program intends to find the most outstanding solo vocal artist amongst Malayali’s across the Globe. To be telecast during super prime time slot of 9:30 PM from Mon- Wed. The judging includes industry stalwarts – K S Chitra, Sharreth and Rimmy Tomy. Auditions for the show were conducted in various centres across India and the Middle East. 26 contestants who made it to the show will fight it out for the ultimate prize by delivering jaw-dropping musical performances that stretch over 80 episodes. The opening episode will feature grand musical and dance performances, with Suresh Gopi as the chief guest. Eastern Condiments is the title sponsor for Padaam Namukku Padaam, while MRF Vapocure, RKG Agmark Ghee and Palmolive Facial Bar are the co-sponsors. Q7 Thinner and MVM Krishna Thulsi are the prize sponsors.